Hardwood flooring is one of the few things that is both classic and current. Hardwood floors never go out of style. Kermans has been one of Indianapolis' top hardwood flooring stores for decades because we have the selection, prices and design advice homeowners need. We also have the experience homeowners need when trying to find the best hardwood for their room. We can help match a floor to your decor while also making sure it's the best product for your lifestyle and budget. We asked our design consultants to give us the top benefits of solid hardwood flooring, here's what they said. Weekly dry mopping is about all the maintenance you'll ever need to do on a hardwood floor. No special cleaning techniques or products are needed! Keep dirt and debris off your floors with regular sweeping or dry mopping and you'll have beautiful floors for years to come. 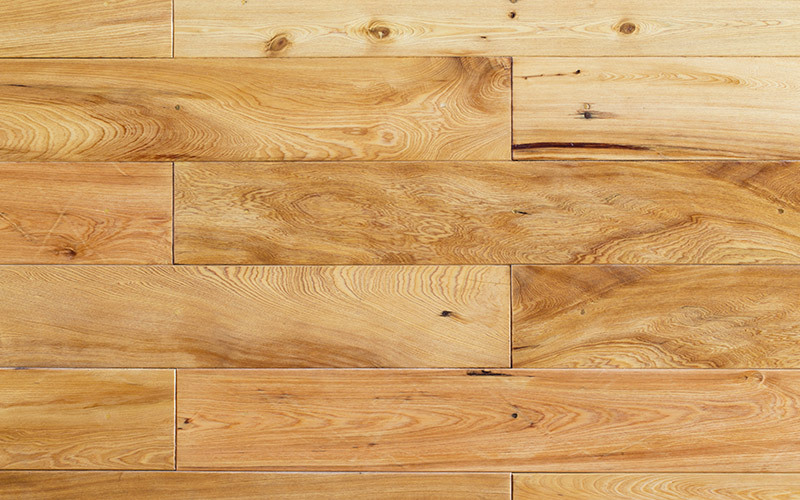 Read our top tips for maintaining your hardwood floor. A hardwood floor makes a statement. Solid hardwood floors are beautiful and add a look of high quality to your home. It's true that they are more expensive than other floors but it's a cost that adds true value to any home. Speaking of cost - spread it out over the years you'll keep that hardwood floor and you end up with an affordable, long-term investment in the value of your home. Hardwood floors are solid wood and with proper care will last for decades. Hardwood floors are one of those investments that look better as the years go by. It's hard to go wrong with an investment in solid hardwood floors. Hardwood floors are easy to clean and keep dust-free. They also contain no fibers to trap dust, dust mites, mold spores or other allergy triggers. Learn more about good floors for allergy sufferers. When you're looking for hardwood flooring, look no further than Indianapolis hardwood store, Kermans. Schedule an appointment with one of our design consultants (their services are always free) and we'll have selections ready when you arrive.